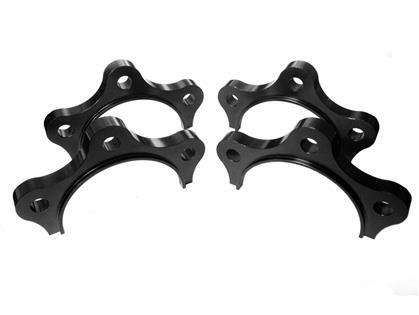 TS-S2K-003 - Torque Solution Axle Half Shaft Spacers - Pann Auto Performance - San Diego largest aftermarket automotive performance parts - What do you drive? Torque Solution Honda S2000 axle half shaft spacers are made from 6061 billet material. They are designed to help alleviate the stress on the axle CV joints caused by lowering. Designed for cars lowered 1.25” and lower.